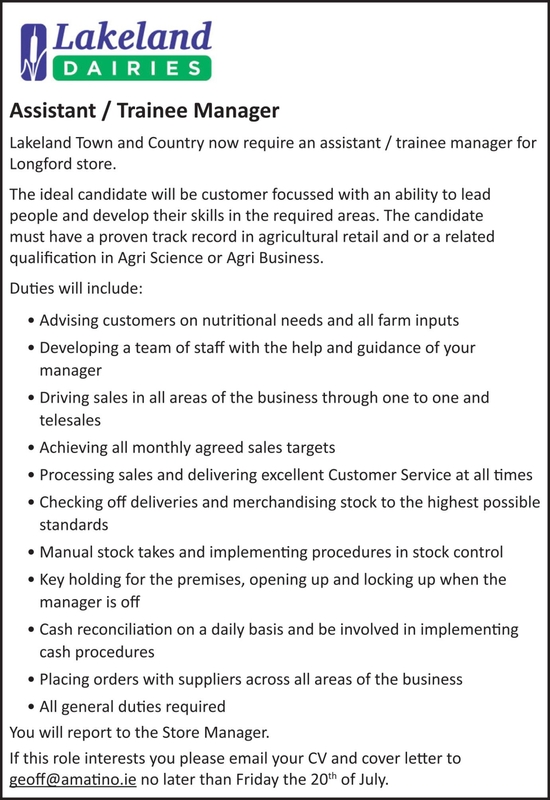 Lakeland Town and Country now require an assistant / trainee manager for Longford store. * Driving sales in all areas of the business through one to one and telesales. You will report to the Store Manager.